Get the experience of an oceanfront lodging in Kitty Hawk, without paying a beach premium! The path directly behind our hotel will take you straight to the ocean within seconds, so you can start enjoying the Atlantic Ocean spray and sandy shores right after your complimentary daily breakfast. Getting to our hotel couldn’t be easier, with our free on-site car, truck, and bus parking. If you’re coming as a larger group, we also take group bookings. Contact us to book a stay for a wedding party, sports team, or a large group! We also have accessible hotel rooms in Kitty Hawk with enhanced features to make them mobility accessible and ADA compliant. Only ADA defined pets are allowed in our hotel. Unfortunately, no other pets are allowed. Unwind and relax in a large king room, just steps from the ocean! 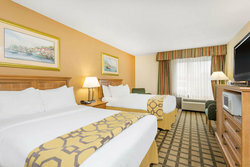 Our King Room has all the convenience and amenities you need for your beach vacation. Spend some time in your room watching the flat screen HDTV, or getting some work done at the desk! Our 2 Double Bed Room gives you all the space your family needs, at an affordable rate! Enjoy a quality night's sleep in a comfortable lodging in Kitty Hawk, NC, just steps away from the ocean. Our guests also enjoy our complimentary Wi-Fi, flatscreen HDTV, and in-room microwave. 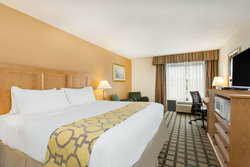 Unwind and relax in an accessible, large king room, just steps from the ocean! Our accessible King Room has all the convenience and amenities you need for your beach vacation, including bathroom rails. Spend some time in your room watching the flat screen HDTV, or getting some work done at the desk! 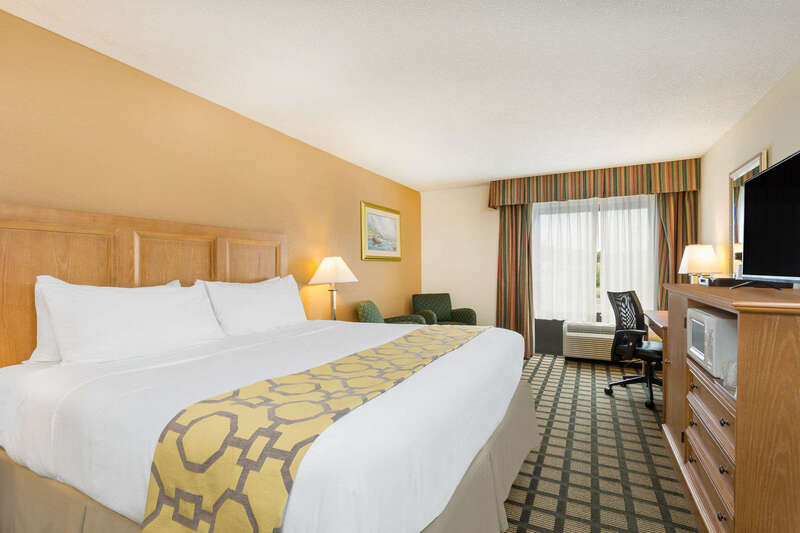 Unwind and relax in an accessible, large king room, just steps from the ocean! Our King Room has all the convenience and amenities you need for your beach vacation, with a roll-in shower. Spend some time in your lodging in Kitty Hawk, NC watching the flat screen HDTV, or getting some work done at the desk!